Wild specimen from the Sita River in Karnataka state, southern India. 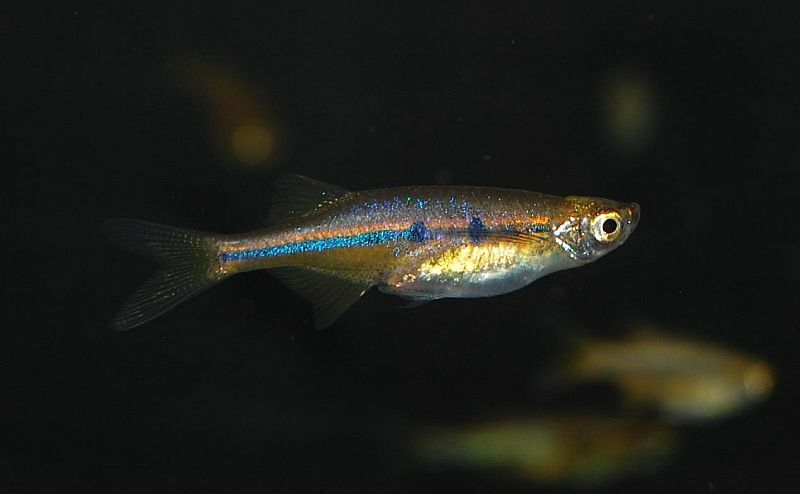 Adult individual from the Danish aquarium trade. 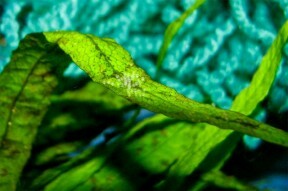 Eggs are normally deposited on a flat leaf, near the water surface. 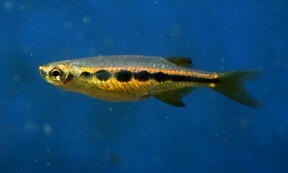 In most individuals the lateral stripe forms a series of round spots. 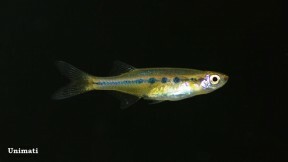 Individual without spots on the lateral stripe. 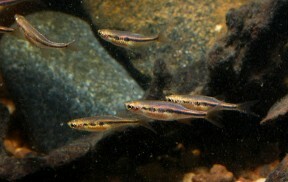 Adult pair, female at front. Individual from the German aquarium trade without spots on the lateral stripe. Laubuka: from Layubuka, a vernacular Bengali name for L. laubuca, the type species of the genus. dadiburjori: named in honour of Bombay aquarist Sam J. Dadiburjor, who collected, spawned and “brought this interesting fish to the notice of science”. Endemic to southern India with records from the states of Goa, Karnataka, Kerala, and Tamil Nadu, including the rivers Meenachil, Bharatapuzha, Chalakkudy, and Sita. Type locality is ‘Cochin, Kerala, India’. Inhabits small tributary streams and freshwater pools, and is typically associated with dense riparian or aquatic vegetation. Should ideally be maintained in a planted set-up with some water movement, with a layer of vegetation covering at least part of the surface. Some clumps of Taxiphyllum or similar would be a useful addition as they will provide a source of micro-organisms upon which both fry and adults can feed, and they may also be used for egg deposition. An air-powered sponge-type filter unit is best and should be matured before the fish are added. Likely to feed on small invertebrates and other zooplankton in nature. In the aquarium it will accept dried foods of a suitable size but should also be offered meals of small live or frozen fare such as Daphnia, Artemia, grindal worms and suchlike. This species is very peaceful and places no special demands in terms of water chemistry thus it can be combined with many other species. As always when selecting a compatible community of fish thorough research is essential, and its small adult size must be a consideration. 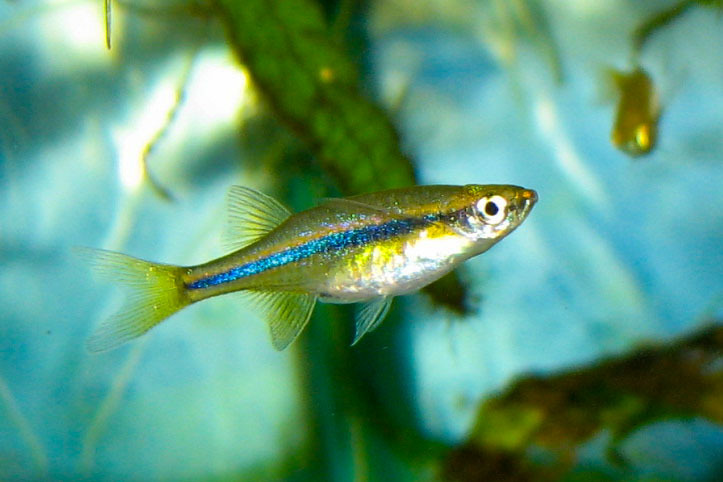 Sexually mature females are deeper-bodied and tend to grow slightly larger than males. An egg-scattering spawner that does not exhibit parental care. 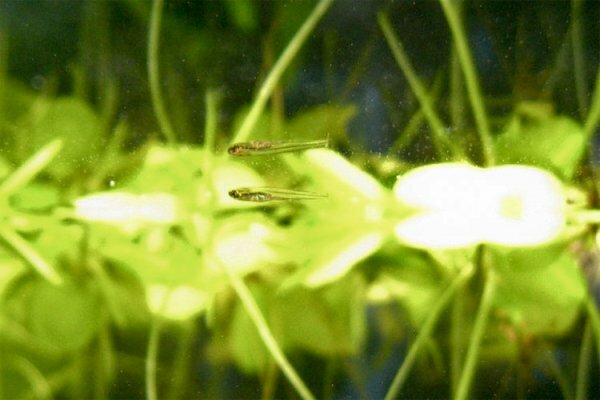 However if you want to increase the yield of fry a slightly more controlled approach is recommended; males tend to choose plant leaves or similar near the water surface as spawning sites therefore providing some suitably arranged décor is the first step. This can be done in the main tank or separately, as you prefer. When the fish spawn the leaf holding the leaves is removed and placed into a separate container with some water from the aquarium it came from and a few drops of fungicide. An airline set to bubble gently should also be added. Fertile eggs hatch in 2-3 days, and the fry become free swimming in a further 4-5 days. At this point they should be offered an infusoria-grade food, until large enough to accept Artemia nauplii and such like. 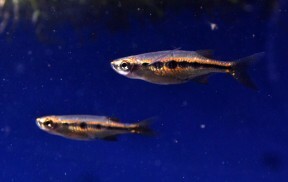 L. dadiburjori has also been marketed as ‘Burjor’s brilliance’, ‘orange chela’, and ‘orange hatchetfish’ in the aquarium trade. The generic name tended to be spelled ‘Laubuca‘ for a number of years, but it is now established that Bleeker used ‘Laubuka‘ first, therefore this spelling has priority. Among other cyprinids Laubuka species are closely related to the genera Chela, Malayochela, and Devario according to recent phylogentic research, which also supports the splitting of the fomerly much larger Chela grouping into Chela, Malayochela, and Laubuka. There is also a suggestion that L. dadiburjori is not a direct relative of other Laubuka species and may warrant placement in its own genus. Notes on fishes in the Indian Museum. XLVI. 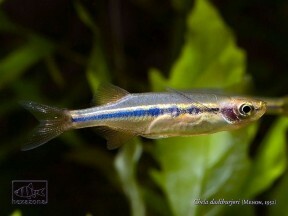 On a new fish of the genus Laubuca from Cochin. 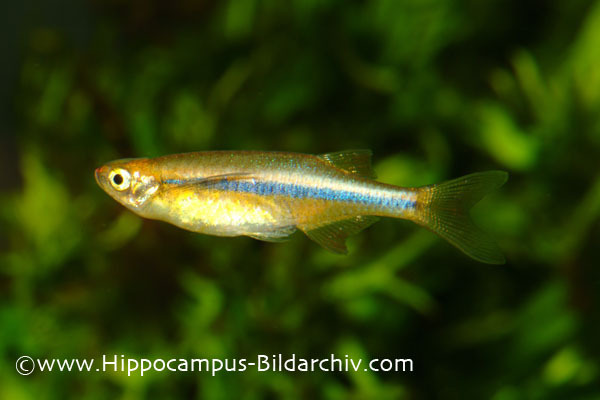 A new species of genus Laubuca Bleeker, 1860 cyprinid fish from Bangladesh (Cypriniformes, Cyprinidae). A review of the genus Laubuca in Sri Lanka, with description of three new species (Teleostei: Cyprinidae).